One year ago Barack Obama was being sworn in as president of the most powerful nation on earth, having swept to office on a tide of hope. Now his popularity has plummeted and - most graphic demonstration so far - his party's now lost a key Senate seat in Massachussetts, a seat considered a back-pocket certainty for decades. 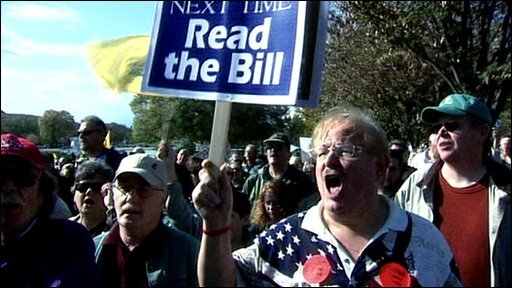 Katty Kay reports from the US on The Tea Party Movement, self-declared patriots determined to rein in the power in Washington, who are said to be the most popular political force in America.